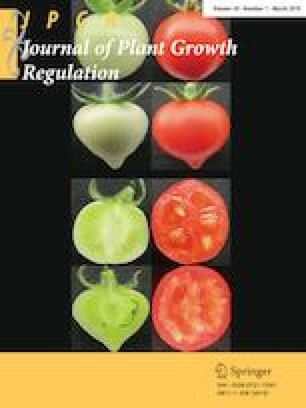 Reactive oxygen species (ROS) plays an important role in senescence, which was studied for cotyledon senescence in mung bean (Vigna radiata) seeds following germination in the present work. Morphology and chlorophyll content analysis revealed that cotyledons undergo a short developmental stage followed by senescence when attached with axis while detachment prolonged such developmental changes and delayed senescence. Histolocalization and spectrophotometric analysis of ROS revealed a positive correlation between the total chlorophyll content and extracellular superoxide (O2•−) level that accumulated around chlorophyllous regions, whereas hydrogen peroxide (H2O2) was mainly localized in the peripheral cells, wherefrom storage mobilization started for both intact and isolated cotyledons. Among the antioxidant enzymes, catalase (CAT, EC 1.11.1.6) and ascorbate peroxidase (APX, EC 1.11.1.11) activity declines when peroxidase (POX, EC 1.11.1.7) and superoxide dismutase (SOD, EC 1.15.1.1) activity was maintained during cotyledon senescence. POX activity, which was mainly localized in the cell wall, showed a positive correlation with total chlorophyll content for both intact and isolated cotyledons, whereas CAT activity showed positive and negative correlation with total chlorophyll content for intact and isolated cotyledons, respectively. On the other hand, a clear negative correlation was shown by APX activity of both intact and isolated cotyledons, whereas a highly positive correlation was established for SOD activity with total chlorophyll content of intact cotyledons only. Possible association of O2•− with cotyledon development and H2O2 with storage mobilization followed by senescence has been proposed. The online version of this article ( https://doi.org/10.1007/s00344-018-9845-4) contains supplementary material, which is available to authorized users. Lily Pal gratefully acknowledges the financial support in the form of “UGC- Basic Scientific Research (BSR) Fellowship” [Number and date of award letter: F. 7-220/2009 (BSR) dated: 13/12/2012] from the University Grants Commission, New Delhi, India. Authors also acknowledge the kind assistance of Dr. Saran Ishika Maiti, Department of Statistics, Visva-Bharati University for statistical analyses of the data.